Attention iPad fans, your day has finally arrived! We've fully revamped our iPad app so you can finally use all of minube's features straight from your tablet. The new app is quite a change from the old one and full of new features. We can't wait to hear what you think! Don't forget to give us 5 stars! Published: 2013-06-17, by Manu Galvez. "You should pack this app when travelling"
It couldn't be easier. minube's homescreen is a live wallpaper with a search box in the middle under a simple question: "Where'd you like to go?". Input the city and start discovering worth visiting places to eat, sleep, chill out or meet up. Anything you may need when travelling to different countries is on minube. However, one of the plus points of minube is its social integration. Besides connecting your Facebook account to the app, check-in and share location, you can post reviews about places or read users' reviews. If any of those reviews aren't in your language, you can use an integrated Drunken Translator. No more uncertainty when travelling: go straight to places you know that will match your expectations. Of course, you can see photos of that places, ratings, contact details, website, location on the map and even prices when that info is available. minube isn't maybe the most-known mobile travel guide, but it has already a good number of reviews, lots of places and user-friendly interface. Recommendable. 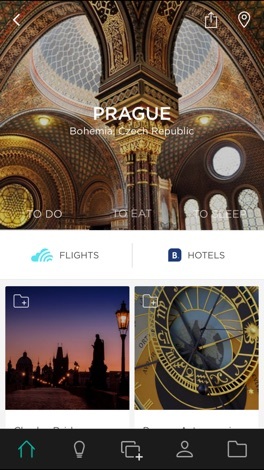 Minube is the world’s most complete and useful travel app. 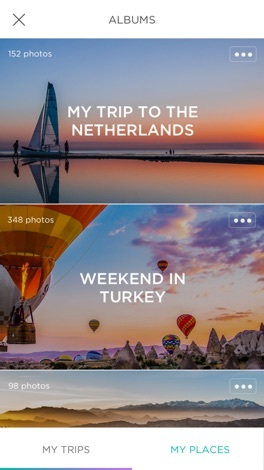 You can use minube to find inspiration and discover your next travel destinations, see recommendations and tips from real travelers just like yourself, and create beautiful travel photo albums once you’ve returned home. 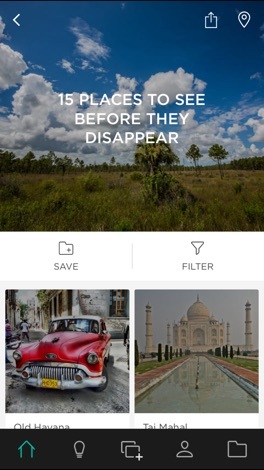 -Relive your favorite trips: minube creates beautiful travel albums of the places you’ve visited including destinations and tourist attractions visited, travel dates, and even your route! -Find the best attractions, restaurants, and hotels nearby, including their exact location on the map. -Plan your trip by creating personalized travel guides featuring all of the places you want to visit on your vacation. View your saved places on a map and download your travel guides to use offline. -Discover authentic reviews and photos from millions of fellow travelers about new and exciting travel destinations around the globe. -Travel using interest-based lists that help you discover the very best of each destination. Think things like Secret Places in London, the Best Beaches near Barcelona, and more! 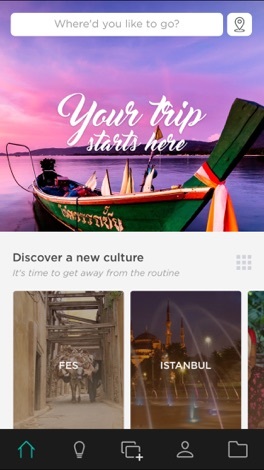 With minube, you can find tons of inspiration for your next holiday: choose the type of trip you want to take (with family, with friends, romantic), filter destinations by their distance from home, see recommendations based on the number of days you have to travel, or simply by flip through some of the world best travel destinations. Minube lets you find unique lists with interesting travel ideas for destinations around the world. Think things like the Castle Road in Germany or the best Hidden Beaches in Ibiza. You can also create your own personalized travel guides by saving the places you want to visit into your own lists. The minube app can also help you when you’re out traveling. You can see real recommendations about the best attractions, restaurants, and hotels nearby and see their exact location on the map. Or, discover local lists highlighting the very best of the destination that you’re visiting and download them to use offline. Minube is there for you once you’ve returned home. If you have the GPS on your camera activated, the app can organize all of your travel photos in beautiful albums so you can share them with whoever you like and have a wonderful keepsake of your trip. A survival city crawler. Here's a game every lover of the zombie genre will enjoy. In an infested city you play the role of a brave lone wolf whose only contact with other survivors is made via a ham radio set. This survivors send you missions to fulfill in your area, in hope you can eventually reach where they are bunkered and join them. These mis…. A comprehensive database of Spanish beaches. Although there are those travel to Spain to enjoy its superlative culture and gastronomy, many trip goers are looking only for cheap alcohol (namely, the refreshing and healthy sangría) and sunny beaches, two things that are quantitatively abundant. iPlaya focuses on the latter, including a huge database….